Raksan Transformers Pvt. Ltd. is a 100 million USD, full service manufacturing company with PAN India operations. We are proud manufacturer and supplier of Power & Distribution Transformers with study growth year on year form its establishment in 1995, focusing on quality products, services, and reliability. 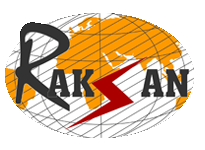 RAKSAN is a BIS approved ISO 9001-2015 certified Co. as one of the leading manufacturers of high-quality Power & Distribution Transformers, Furnace Transformers, rating 25 KVA to 10 MVA up to 33KV line as per ISS- level 2 and all other Transformers for specific functions. We have a backing of well-equipped units where all facilities including testing of Transformers are available for rolling out International Standard Quality Transformers.